What is a Mermaid Soul? Mermaid lived on Earth in the days of Atlantis and Lemuria. They were wild, beautiful, seductive, and wonderful guides to mankind. Ever hear of mystical beings? Thought it was a tall-tall or legend? Its not! Mermaids were altered by the Angels, from the beings growing from fish. With half a human form and half a fish tail, they were left this way, to see how this beautiful form would fair in the oceans and seas. Earth is not the only place that has this type of mermaid form either. But for now, on earth, they were magnificent, and lovely, and so alluring, the angels left them to guard the coastlines, lakes, ponds and streams. Ladies of the lakes. They loved their abilities to swim anywhere, breath in air and under water. They were magical, spell binding, and enchanting. They loved being with the angels, but when the angels took their place back in the higher vibrating realms, they had no one. Soon, beings from the stars came too. Not only had the angels helped life speed up in growth, some, not all of life.. the star beings were now here to help build harmonious peaceful utopias for them. The mermaids yearning for higher vibrations, sought them out, and found them in the few Utopias built. Atlantis and Lemuria. In Lemuria, an earthquake that brought with it a great Tsunami, (Flood Days) was created by the sons of the Creator who did not like the fact that life had been altered. He felt that life should have its time in growing naturally. In other place sin the world, the “humans” were now getting corrupt. This world was a great place then.. I will speak of this in my next video… So, anyone effected by the Tsunami, moved on. Those who were from the stars tried again, this time in Atlantis. They needed a place with a higher vibration on earth, close to the portal so if the :gods” did this again, they could leave… And they did do it again. But not the same God’s, the fallen angelic beings who were now corrupt wanted exclusive power, and they had wanted it for some time. The Jinn who were the first creations after the first light brought to use intelligence here, were made of Static energy, not illuminated, but a lower programming. Somewhere in between 4D and 3D, they resided. They too felt the civilizations were a threat. So, they joined the rebel angels in their conquest to power. Atlantis went down. After Atlantis sank, there were not so many mermaids left. Small groups swam off to hide out there in the world. 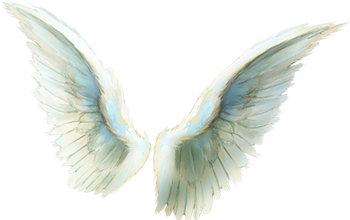 Much of the mystical beings created with angelic magic, had died in the first floods, only small remaining groups of them remained stretched out over the earth too. Only to be fantastical legends, told by few seeing them. Once this world contained dragons, Unicorn (in the bible even), mermaids, and fairy spirits. Even beings who made to live underground, who were huge and covered in hair, still existed in small numbers. But,man in his growth, wanted no magic. They wanted to own it, but not to have it roam free. In many religious wars, they murdered those magical… Stories of Dragon Slayers, and wizard hunters, were passed down. And soon, the stories were used as a replacement for symbolic hidden messages, not taken seriously enough. Except..by those who knew the truth behind the messages, but the magical beings, they slowly disappeared as fairy tales. The druids knew though, and they kept it with them.. It still exists in Hollywood today (Holly-Wood, a magical wood for wands in Druid beliefs)…. Mermaids still swam the seas and bodies of water on the Earth over time. Pirates feared them, some chalked it up to just stories. But those finding them? They found magical presents, riches, and rewards. As the Creator looked down, he started feeling badly for these beings. those who were losing their place in a world that was dying, as those beings still lived forever. Over time, as death started to become a reality for them, their souls started to go into realms made just for them. Magical “rooms” in the spiritual realms where they could have a similar life, and still be called on by believers. The energy of those believing would go to them, strengthening their magical talents, there, in this other spiritual place. But the Mermaids, they had always wanted to know what walking as a human would be like. They were offered a chance to leave the spiritual planes, and be born as a regular person. Many took the chance. Some refused it. To live and to die all for a pair of legs, was not worth it to them. But those who did come to take human form and life,, brought with them their traits. We now have mermaids here in disguise of human form, but their soul will forever within, be mermaid. Some day they will go home to their place in their own realm but for now, they give us the gift of their presence. Even some of the mermaids from the places in the stars who heard of the chance to gain human life, came down to join. This made Starseed mermaids who got to be here too. What a beautiful gift to be a mermaid soul. What a gift to be a human. Want to learn more about Mermaids? Check out my video going deeper on the subject coming soon to my YouTube Channel… For now, find out more on their origins. there are also mer-fae, mer-angels, cosmic-mer, from all over our reality complex. Just like there are many species of Angels, there are many species of Mermaids, and Fairies too! Mermaids are wonderful beings. I am actually doing this for my few mermaid souls, who are with me. They have been faithful, loyal followers. I truly love them, and admire their devotion in the things they pursue. and also the devotion they have for me too, I am humbled and grateful.. It really shows how loyal they are to their passions. 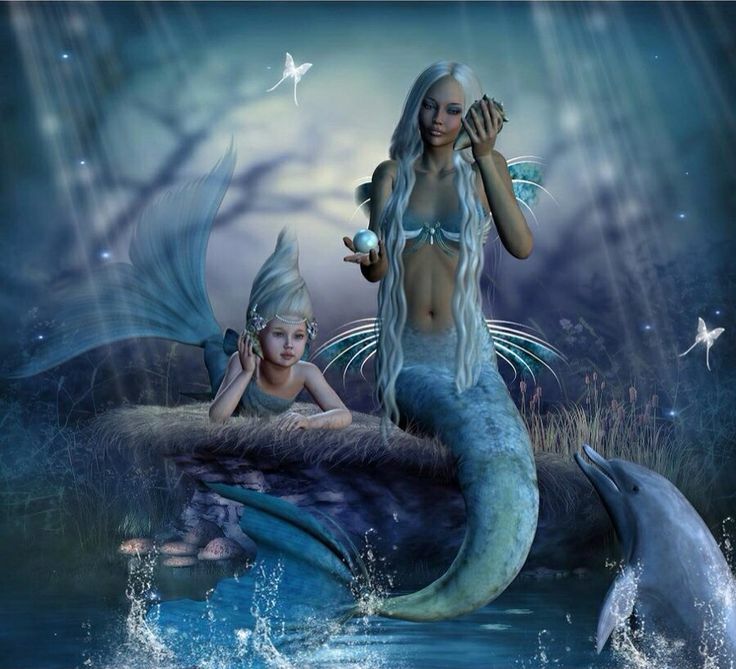 Want to learn more about how Mermaids come to be born as humans? In Ireland, where my family comes from, our family comes from the Tuatha De Danaan. This is a family of Demi Gods, who took rule over the land. Back when the first of them, the nephilim, decided to migrate out that way, to take their residence, away from Israel. This was after Israel decided to dismiss the other deities who were given rule over the Earth. The Creator had given the earth to the angels to keep, and care for. As mentioned in my other blog, some did not like being servers to man. They were not really servants, but they did answer to their will, and requests through prayer. After the angels tried to evolve life on earth, man started getting corrupt, and the rebellious angels used this to their advantage. The flood came, as the creator’s son, was really upset and hurt over the disobedience of man and the rebel angels. So, he tried to begin again. However, there was of course, still survivors. Some of them were humans bred by women and angels themselves. Called the Nephilim. Some still loyal to the Creator, and the angels given rule over the earth originally. 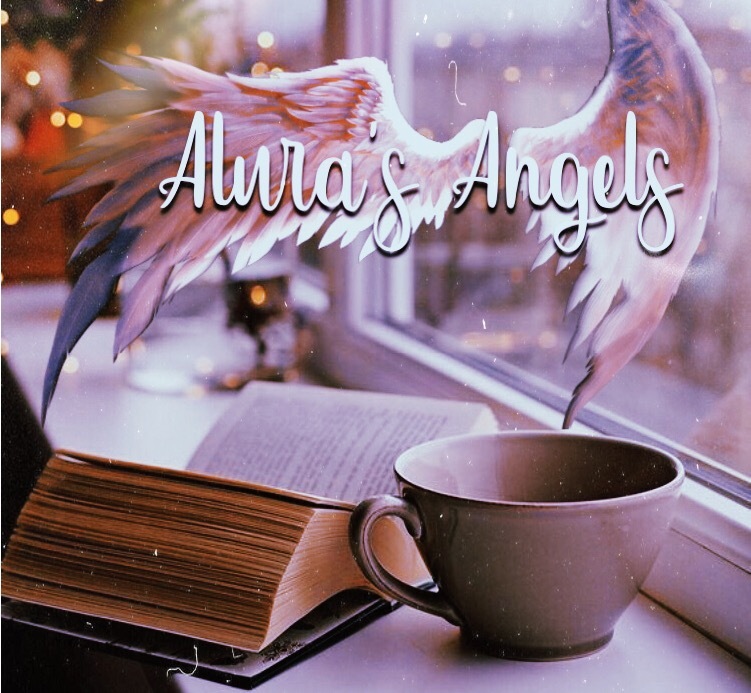 Some of them joined the rebellious angels, some of who, were their own parents too. The remaining survivors, set up new kingdoms, First in Sumer, branching out into Babylon, Canaan, and Egypt. The empire of the rebel angels, was wide spread, as were their teachings, earthly and spiritual. Those still loyal to the good angels, they did not agree, as they knew through their fathers who he was, and so they left, migrating into Ireland. They took with them freedom, from the teachings of their angelic parents, and lived by the teachings of their leaders, angels who had new names in the new language. They called them, the children of Danu. Or, the Tuatha De Danaan. In all of the glory they had as a people, the called their earthly Kings appointed by the Children of Danu, “Bright Ruler”, or in Gaelic, O’Flaithbheartaigh. This name is now today, Flaherty. My mother is a Flaherty. Being of the lineage I have. a nephilim on mom’s side, and a Priest Bloodline AB Negative, on my Dad’s. I always have been extremely psychic. Everyone on Mom’s side is an intuitive, but her sister, my Aunt, is a medium. My grandmother on dad’s side is a lightworker and spell caster. My Dad, is a Clairvoyant intuitive. healer. in my own nature, being of both worlds, I have all abilities. This is why I chose the body and families, that I chose to incarnate into. To have the roots, and bloodline to fit my soul, and mission. This is why I know so much, Being awakened, and my roots. I started channeling the Creator and angels at the age of 3. But imagine, having Christian relatives, and not only talking to God, but also speaking to fairies, mermaids, and other mystical beings… They looked down on it, trying to fight their own abilities and lineage, as Christianity said, “It was evil”. The lies of old, to suppress people like me. I heard them sing, I heard them weep. Both sounds, musical, and beautiful. having memory of who I was, where I came from, and my divine blueprint, helped me to see the blueprints of others..I noticed in other people when they had a soul inside of them, that was not earthly. Scanning them, I saw their creation codes. It amazed me. Especially when it came to Mermaids. I saw many of them too. But only till my clients came, that I got to really know this soul type in a human body personally.. What a delight and a breath of fresh air. I tell you, never did I feel competition come from them, or jealousy. I never felt ugliness, or fakeness. They were always genuine, and loving. Those I knew in spirit, were of all different types of personalities and species. In the beginning they were not even called Mermaids or Mermen.. In the beginning they went by the name of their race as “Sirens”. Mer, did not come until later in Greece, where the meaning of Mer was “to join, or containing two parts”. Then they added maid, or man. However, to go a bit further, the word maid or maiden used to be Kori, So the word for this being is appropriately, Merkori. And this is what they were called in Scandinavia as well. Merkori, Mercury? Connection? Ah ha! The ruler of Mercury is Hermes… Hermes is one of the gods of messengers, Messengers are who? Angels! Angels made this species… So, in the languages they built for mankind, they made it all work some how.. Especially, to the Greeks, and the Norse, and Irish, who still worshiped the angels. Their deities are angels. Angels are actually principalities and dominions. And those are Kings, princes, and rulers. To humans, they would be Gods, as they have magical powers. yes indeed, all things connect! 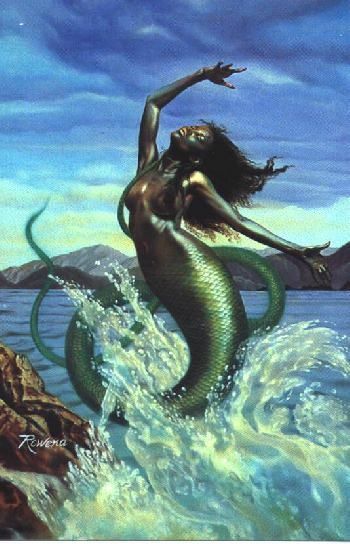 Back to the mermaid types, those who bred, and spread far and wide and with the different natural native species,mermaid appearances took on different looks and evolved, into many looks, with many names. All of the mermaid species are kind, helpful, magical, and intuitive. 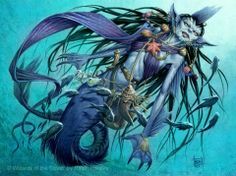 the Merry Sidhe have some anger issues yes, but most of the mermaids are sweet, unless threatened, and then it is dangerous as they will fight in their emotional passions, to be safe. They are so hidden from this world today, except in those who incarnated into human life, or the few sightings still seen. They have high emotions, and a beauty to them, that is magnetic. I have been blessed in knowing all of the spirits of the earth’s spiritual planes, and others, in far off star systems. In my roots of knowledge, I always found that it brought me to be able to give all of you even more of that knowledge to share. Look for the video…. Love and light!